Home > Uncategorized > Faith + Service + LOVE! There are many lifelong benefits to a year of service – job skills, spiritual growth, professional connections, friendships – and love! 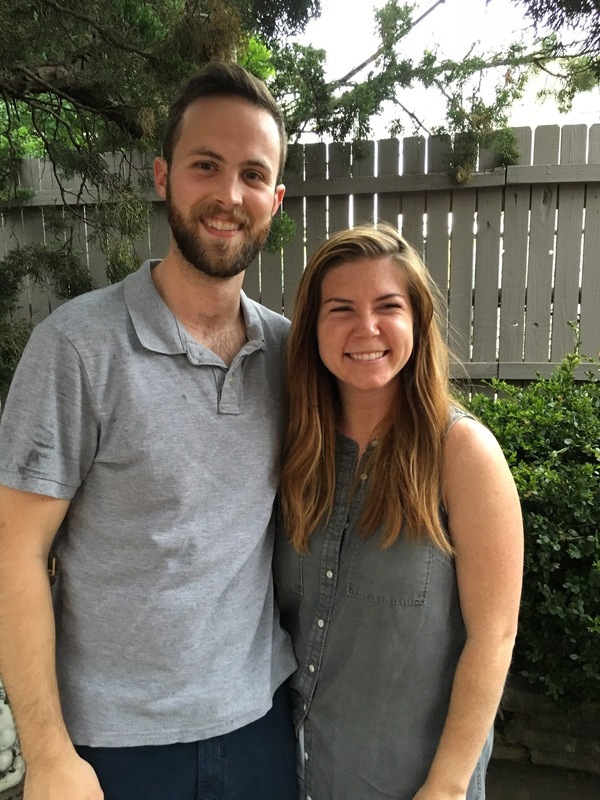 Here are some stories from couples who met during their year of service with Franciscan Volunteer Ministry! Hindsight is twenty-twenty, or so the saying goes. But not for Kathryn and I. For us, hindsight is fifty-fifty. A comical mix-up of clichés during our year of volunteer service at the St. Francis Inn in Philadelphia, through the Franciscan Volunteer Ministry program, brought us together through laughter. But in a certain sense, hindsight is fifty-fifty, too. After all, weren’t there the challenges of living in intentional community with five complete strangers for a year that, at times, tore us apart through anger and tears? No matter how clear the hindsight, it’s the moments that make you look back, whether at the good or the bad, that are more important. For example, it wasn’t until two years after we had finished our volunteer year together that I saw so many past moments come to life again. We were visiting Baltimore for a weekend, and on a beautifully temperate afternoon, went for a long walk through the city and around the harbor. After noon, with the choppy dark blue water illuminated by the late summer sun, a woman walking toward us on the boardwalk asked if we had any change to spare to help her get to a shelter. Immediately I flashed back to conversations Kathryn and I had sitting around the small dining table at our volunteer house, enthusiastically agreeing about the value of being present to those expressing need. I remembered strategies we had observed from veteran volunteers about distinguishing need from deception. I felt the ache of being conned and sharing in that pain and loss of trust as Kathryn experienced it. I experienced the relief of seeing a need met with a fully loving heart. It was a fuzzy, fifty-fifty memory. So neither of us was surprised when we wanted to talk to the woman, find out about her situation and the shelter. What’s more, we shared our experience, or lack thereof as far as Baltimore was concerned, and were happy to help as much as we could with bus fare. This was no remarkable service, and truthfully I can no longer remember the woman’s name. In fact, as the woman walked away, I know Kathryn and I both experienced that unique tug on the heart strings that comes from meeting someone but being unable to fully meet their needs. It was a fifty-fifty moment. However, we also experienced a depth of understanding of the meaning of service and relationship. The words and experiences of the past were alive then and there in Baltimore, with a reality that was indescribable, but also undeniable because it was shared. In being present to another together, we knew with complete twenty-twenty clarity how present we were to one another. In a sense, I wish hindsight was twenty-twenty. But it’s the fuzzy parts of life, like mixing up clichés or living a life of service, that bring us together in beautifully mysterious ways. Sometimes with laughs, other times with tears, but always, if we stay present, with love. 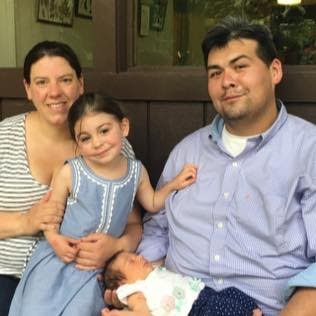 We are Andrea and Luciano Tellez and we met while serving as Franciscan Volunteers in Wilmington, DE. We have always talked about how our paths never would have crossed had it not been for our shared desire to give of ourselves in service. Even our experiences with faith and church were vastly different. For Luciano, his faith gave him hope during difficult times, he was a firm believer in church dogma, while I was much more spiritual than concrete in my belief system. During our yearlong term of service, Luciano and I lived and worked together teaching English as a second language and religious education, we served women in a local jail and we worked in a food pantry among other things. And our experience would have been similar to that of any other couple who met while giving back to their community, except that in addition to our vocations, we also prayed together. We fell in love while we worked and built our faith together. It is really a beautiful way to get to know one another. During our weekly community prayer meetings we were able to explore our faith with our housemates and friends. Privately, we were able to get to know one another in a deep and meaningful way. We went to church together, we prayed with friends together, we discussed how faith is woven into our lives through work and in our free time together; it was as if God was at the center of our relationship right from the start. Six years after we met, Luciano finally proposed and the following year we were married. We have two girls, Liliana is 4 and Gabriella is 7 months old. Our older daughter hears about our memories from our time together at FVM. She has learned about how faith, God and love were all present when her parents met. And that is very important to us, as we believe it is a beautiful foundation for she and her sister to understand about their family. We just shared Gabriella’s first Christmas and Liliana is now old enough to understand the meaning of the holidays. In addition to being gifted many times over by “Santa” and family, Liliana was able to understand the significance of the birth of Christ. She has had so many questions; it is amazing and beautiful. We have lived blessed lives and have built a home together that is full of love for one another and for God. We look back on our time with FVM and all of the friendships we made, the relationship we built together and the faith that we learned to weave into our daily lives and we are reminded of just how blessed we are. When Patrick and I are in a group of new people and we need to share an “interesting” fact about ourselves, we usually say one of two things: 1) I met my spouse at a soup kitchen or 2) we lived together before we dated. Depending on the setting, either we get a minute to explain what this means, or we don’t. When we don’t, we always wonder what people think. Truthfully, our first meeting was on a hot day in August 1999 when the two of us and 4 other young adults moved in to the Franciscan Volunteer Ministry (FVM) volunteer house. This volunteer house was the place where the 6 of us would be sharing our lives over the next 11 months. When Patrick and I met that day, we did not know what was in store for us. We didn’t know that ministering at the St. Francis Inn soup kitchen located in the Kensington section of Philadelphia, would change not only our lives and our career paths but also our hearts. While Patrick and I hit it off very quickly and became fast friends and confidants, I never imagined that we would be married 4 years after we met and would still be in each other’s lives more than 18 years later. Patrick, a native of Binghamton, NY, came to Franciscan Volunteer Ministry from Raleigh, NC where he was working and living with friends for the past few years. He came to FVM because he was discerning his next step in life. A Franciscan friar in Raleigh suggested FVM as a way to discern if a vocation to the priesthood and/or to the Franciscans was where Patrick was headed. He realized early on that Social Work was his calling. I grew up in Scranton, PA and had just spent the last four years at St. Bonaventure University, a Catholic, Franciscan college in western New York state. While I always struggled with what to do with my life, during my junior year I decided that upon graduation I would be a full-time volunteer. I grabbed a Reponse book from the Campus Ministry center and began to request applications from a variety of programs. After a visit to the St. Francis Inn soup kitchen in Philadelphia, I knew Franciscan Volunteer Ministry was the perfect fit for me. I had many expectations for that first year of service. One thing I didn’t expect was to meet the man I would marry. Now it would have probably been easy if Patrick and I “dated” while living together and ministering together at St. Francis Inn. But that’s not what happened. For his second year of service, Patrick moved to Anderson, SC and was a part of the FVM community there. I stayed in Philadelphia for my second year. That second year was a shock for us because we didn’t have the person we talked to every day in the next room. It took about 6 months into that second volunteer year when we realized that our friendship was more than platonic. While it wasn’t ideal to only see each other 4 times over the next 6 months, we know that we kept AT&T in business with all our long-distance phone calls. We learned several lessons while volunteering with Franciscan Volunteer Ministry that nourishes our relationship today. I think the most significant thing we learned was to be not only a good team player but a kind and understanding one. Although I believe we were good team members before FVM, I know FVM helped both of us to think as a team/community instead of about ourselves most of the time. And it helped us to be charitable to our fellow housemates and those we served. We were constantly thinking about us as a group vs. me as an individual. We talk about our marriage as a team activity because of that and we continue to value our friendship because of our year and a half friendship before dating. We really are all in and we are all in this together. Being surrounded by people that were committed to God, their faith and service to others was also helpful examples when we were growing in love for one another. Not everyone has such a supportive environment for the start of their relationship and we are forever grateful to all our communities for cheering us on then and now. You don’t always meet your spouse when serving, but when you do, your time serving the poor is never far from your mind and heart. Patrick and Courtney (Murphy) Hull served with Franciscan Volunteer Ministry (FVM) at their Philadelphia site from 1999-2000. Patrick served a second year with FVM at their Anderson, SC site from 2000-2001 while Courtney stayed in Philadelphia for her second year of service with FVM (2000-2001). Courtney and Patrick were married on the feast day of St. Francis October 4, 2003. They are excited to celebrate their 15th anniversary this year! With Father Bob at the helm of our FVM experience, Doug, Karen, Michael, Lisa, Mandy and I walked the short distance to the T each morning as we headed into Boston. Grateful for the life we shared together, we were ready to be greeted by the guests and staff of St. Francis House each day. I will never forget that sense of belonging, the feeling that everything was right in the world; I was surrounded by soul mates, our small community that would change my life. It was in these moments that I fell in love with these individuals and the countless others that formed us, fell in love with the journey we were on, fell in love with the man with whom I would spend the rest of my life. During that year, and the many years that followed, we experienced the power of community. 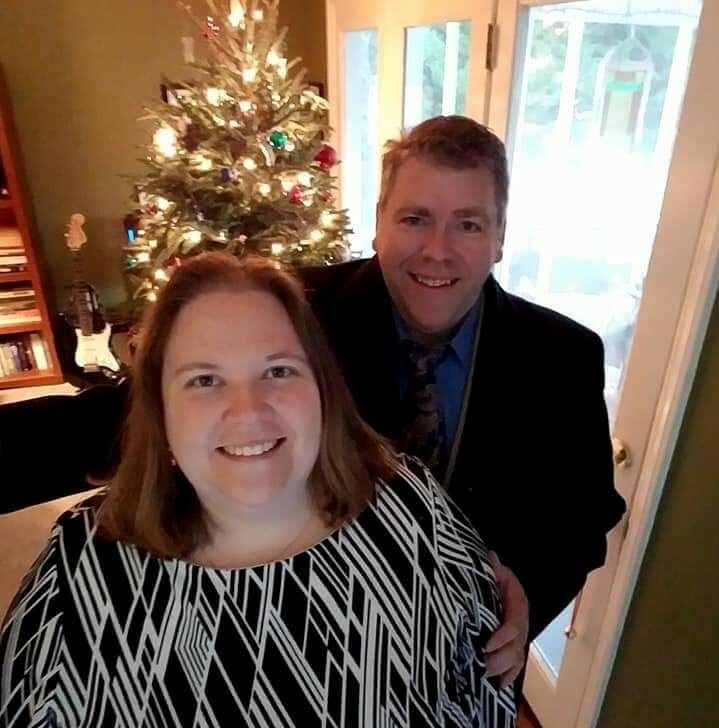 Because of our volunteer year with the Franciscans, Doug and I knew from the very beginning of our relationship that nurturing a sense of community, both local and long distance, would be the crucial link that would sustain our marriage. The desire to serve grew within us as a couple. We took all that we learned from the Franciscans and ventured to St. Joseph’s Indian School in South Dakota, then headed south to graduate school in New Mexico. From there we held hands and followed our calling to Africa with Maryknoll Lay Missioners. About ten years after our arrival in Tanzania, all roads led to Bolivia with our three kids- all under five years old at the time. Our Franciscan support network was widened to include the Maryknoll world. We quickly found that these global communities are strongly intertwined. Was it a coincidence that we were in Bolivia at the same time as two other former Franciscan Volunteers? I think not. It was incredible being surrounded by Franciscans and Maryknollers while in Africa and South America. As our bonds of community strengthened, so did our marriage. These communities are life-giving and reinforce the values that we share as a couple and as a family. Over all these years we have been blessed with countless people and experiences that have changed our life. Off the dusty beaten path there is a small cloister situated in the hills of Mwanza, Tanzania. I will never forget the moment when I looked up from prayer and noticed an adaptation of a quote from Dag Hammarskjol painted on the cracked plastered walls of this chapel next to the Swahili translation: The mercies of God I will sing forever. For all that has been, thanks! For all that shall be, yes!” Each day we say “yes” to our vocation of being husband and wife, mother and father, family. Each day we celebrate the blessings and challenges of our vocation. Marriage is fulfilling but marriage is hard. And it is during the difficult times of questioning as well as during the times of great joy that we gain strength and hope from all the Franciscans, Maryknollers, and beyond- life-long friends who have accompanied us on the Way. Our lives are woven together. And we are grateful. To learn more about serving with Franciscan Volunteer Ministry, please click here or Maryknoll Lay Missioners, please click here.